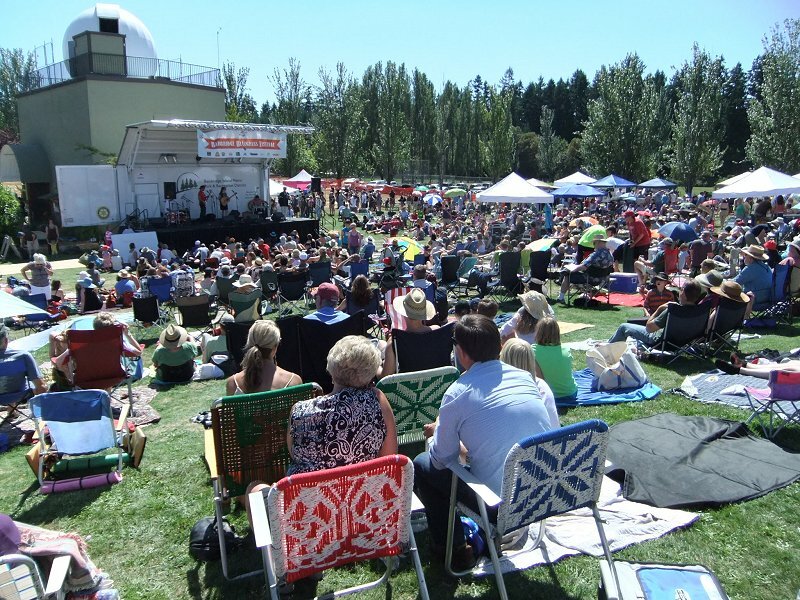 In this podcast, Mary Anne Moorman, an event coordinator for the Bainbridge Island Bluegrass Festival, describes the big event to BCB host Linda McCarty. 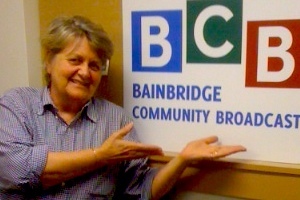 Mary Anne Moorman, the event coordinator, describes the Bainbridge Bluegrass Festival in this podcast episode. 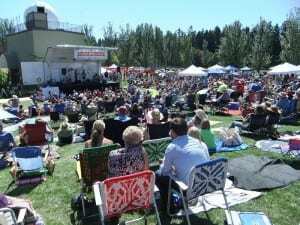 The event offers a day of bluegrass music, children’s activities, food, beverages and fun for the whole family on Saturday, July 26, at Battle Point Park. 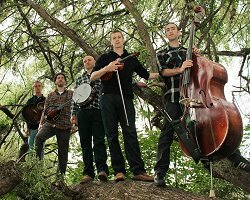 There is a great line-up of bluegrass musicians performing throughout the day, including: The Warren G Hardings, Me and the Boys, The 1 Uppers, North Country, Water Tower Band, Top String, and the Crichton Family Band. This is the 9th year for this event, and proceeds will benefit the local nonprofit Friends of the Farm. Food will include fresh and local favorites, with a variety of foods aimed at pleasing adults as well as children. There will be hearth-baked pizzas and hand-made ginger ale from Bon Fire Ovenworks. Grillside Mobile Barbecue will offer pulled pork, ribs, collard greens and other treats, and Emmy’s Vege House, Rooster’s Cafe and Viking Feast Ice Cream will be on site. 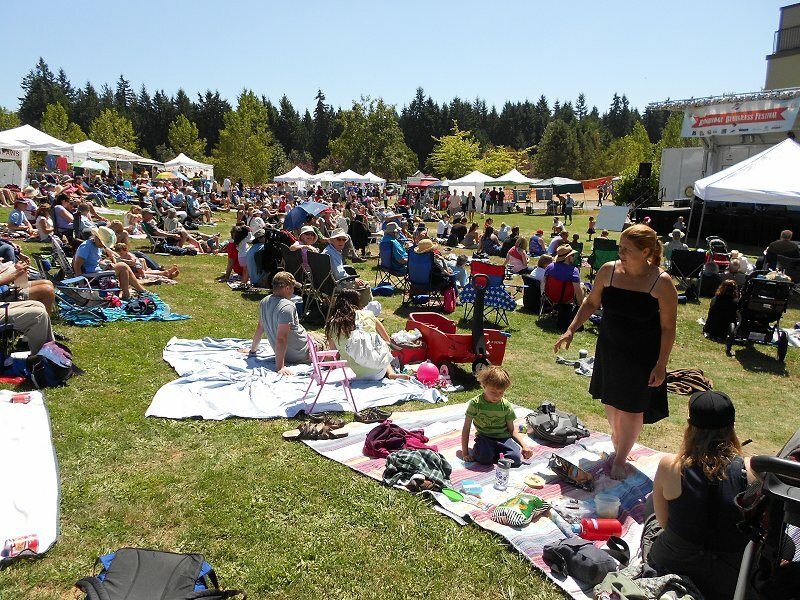 There will be local wines and a beer garden from Commuter Comforts, plus locally-made spirits will be offered by Bainbridge Distilleries. 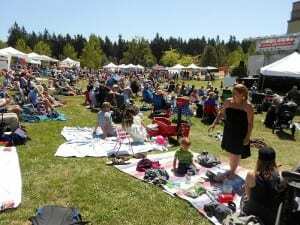 You can bring a blanket and picnic meal, or get a wide choice of food and beverages at the Festival. Feel free to bring your own picnic and beverage and spread your blanket under a tree, and enjoy! This year the Festival has expanded their activities for children. Keeping with the musical theme of the day, there will be qualified teachers instructing children how to make a musical instrument out of recycled materials. By the end of the class they will be taught, and be able to play, a simple song on their instruments. There will also be an instrument petting zoo, and musical face painting and more. Parking is plentiful and free and parking attendants will be on hand to guide you. It is sure to be a beautiful, hot day, so bring a sun hat, sunscreen, picnic blanket or chair … and enjoy! The Warren G Hardings are one of the headlining bands performing at the Festival. For more information, go to the Festival website. 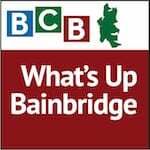 Credits: BCB host: Linda McCarty; BCB audio editor: Tim Bird; Ukulele riff: Tim Bird; BCB ferry music: Dogfish Bay Studio.